Rugoscopia palatina: estabelecendo a identidade. Palatal rugae are irregular, asymmetric ridges of the mucous membrane extending laterally from the incisive papilla and the anterior parte of the palatal raphe. The uniqueness and the overall stability of palatal rugae suggest their use for forensic identification. Objective: the pourpose of this study was to compare the palatal rugae patterns in 2 diferent populations in India (Madhya Pradesh and Kerala), and furthermore, to assess the predominant pattern if any in the selected groups. Materials and Methods: 60 maxillary stude models (30 from each group) were examined in the age group ranging from 17 to 23 years. Palatal rugae pattern were examined in both the sexes on right and left sides of the palate for the total number (quantitative), length, shape, and predominan direction (qualitative). Results: after analyzing the rugae patterns in both the groups and between th 2 sides of the palate, the wavy pattern was found to be a predominant followed by curved, straight, unification, circular, and nonspecific in decreasing order in the overall population. Conclusion: straight rugae pattern on the right side of the palate in the male subjects was found to be significantly predominant in the MP population, whereas wavy shape was predominan in Keralites; however, rugae patterns on the right side of the palate in female subjects exhibited no significant difference. 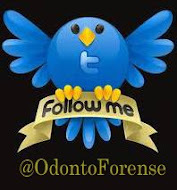 Article published in: Journal of Forensic Dental Sciences, Jan-Jun 2010, 2(1): 27-31.